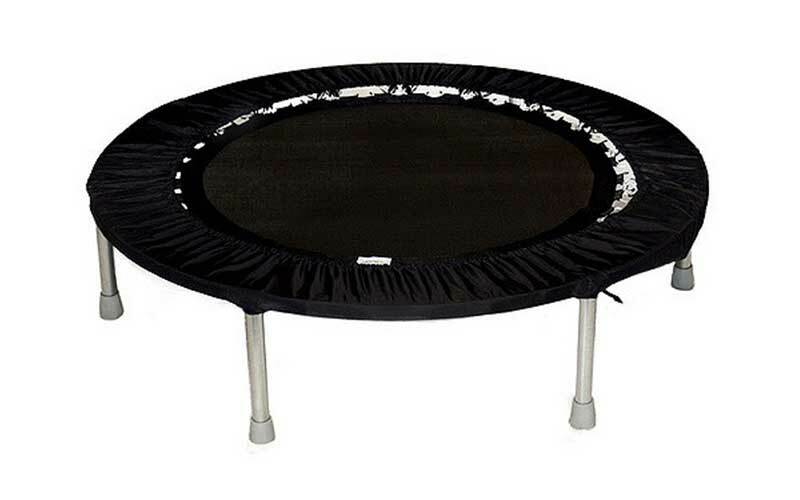 >> History of Trampolines: Who and When Invented It? Trampolines are the American classics that are responsible for providing hours of fun to not only the kids but also the adults. The trampoline sales have started exceeding, which proves that they are the best possible sources of backyard entertainment and fun for all the families. From dunking basketballs to performing double flips, you can have fun with a trampoline in a number of ways. You should also know that trampolines are not just sources of entertainment; they are a great form of exercise as well. Jumping and rebounding on trampolines have numerous benefits on your health. You lose the harmful toxins from your body and the core muscles become strong. Trampolines are becoming the backyard staples currently, and it is impossible to imagine a time without these versatile and fun tools. However, when trampolines were first discovered, they were used for recreational purposes mostly. With time, the modern trampolines were introduced and they are now used for fun and entertainment by both adults and kids. Trampolines are being enjoyed by people for a very long time. However, the use of trampoline can be traced back to almost thousand years. The ancient depictions of various trampoline-like devices have been found in places like China, Iran, and Egypt, although little information is available as to why they were used during that time. According to various archaeological experts, these devices were used mostly for religious celebrations and ceremonies, or to get a clear view of the surroundings. It is true that the activities are not clear, but it can be said that the trampolines were an important part of people's lives back then. Later on, trampolines were also discovered in Alaska. These tools were used by people for various sports activities. These trampolines were made up of the walrus skin and were responsible for tossing people in the air. In order to achieve this, one person would sit in the middle of the walrus skin, while the others would hold the edges tightly. The person who would be seated was launched into the air. This was used for recreation as well as spotting animals from a certain distance. The exact origin of the trampolines that were developed later on was a mystery. However, it is believed that the trampoline was developed by Du Trampoline, and the device was named Trampoline in order to honor him. It is said that Du Trampoline was watching a circus when he started to think about the possibility of using trapeze safety nets as landing or propulsion devices. He spent his days working on this and ended up with a net of medium-size, which was suitable for a single acrobat, and could reduce the chances of the mid-air collisions. The trampoline was created by George Nissen in the 1930s’. The main objective of Nissen’s trampoline was to assist with the diving and tumbling activities. He made use of his trampoline to entertain other people and involve all his audience in the sport that he had created freshly. The early trampoline was made with the help of few best trapeze artists from various nooks and corners of the world. Nissen spent many hours threading the long cords of the net with the help of the javelin-head needs. Later on, Nissen relocated his invention to his YMCA camp. The children there were extremely excited about this invention and they wanted to play with this unique device. A realization struck Nissen and he understood that the trampolines could be used for more purposes than only training the gymnasts and the trapeze artists. He worked with one of the famous gymnasts in the world, Larry Griswold, to work on the trampolines. The two together formed the Griswold-Nissen Trampoline and Tumbling Company. And, this was the birth of the modern-day trampoline. The Navy Flight School of the United States developed a new device, known as the trampoline, during the World War II. The motive of this trampoline was to train the pilots and the navigators. Trampolines were considered to be excellent tools for desensitizing the pilots to the various flips and turns and to get rid of the fear of height. These were also used by them for balancing their body and get a firm grip on themselves, along with strengthening their muscles. Later, NASA made use of the trampolines for preparing the astronauts for the life that they were supposed to have in space. This is when the scientists started to discover that rebounding was effective for strengthening the muscles, in comparison to working out on treadmills. Trampolining also allowed the astronauts to get acquainted with the feelings of weightlessness as well as the loss of gravitational force. Wrapping up, trampolines are being used for a long time as an essential tool for survival as well as fun. From the early versions of trampolines that were made up of walrus skins to the devices that were used for improving the athletic training, there is no doubt to the fact that they have come a really long way.